Hallelujah! Months of programming experiments, running experiments, analyzing data, reading papers, writing and re-wring have finally paid off. On Thursday morning, I did one last proof read through my dissertation and then I attached a PDF version of it to an email and sent it off to my committee! (For those interested, the final page count was 102 pages). In two weeks, I'll give a public presentation of my dissertation experiments, and then I'll undergo my final graduate school oral defense, and I will finally be Dr. Steph! It's hard to believe that after years of ups and downs, that my time as a student is finally drawing to a close. I haven't quite parsed the enormity of that just yet, but I've found through this whole process that I'm best off just focusing on getting through one day at a time, so that's what I'll keep doing. Of course, immediately after submitting my dissertation, I began to show signs of a horrible cold. I have felt awful for the past two days, and while I am definitely on the mend now, I am still not back in full fighting form. But I am well enough that I can finally write my monthly BookPage post, where I tell you about what I've reviewed in the latest issue. 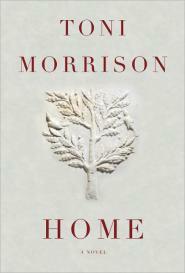 In the May issue of BookPage, I had the great good fortune to review Toni Morrison's latest masterpiece, Home. I'm a huge Morrison fan, so it was a huge honor to review one of her books in a professional capacity. It also didn't hurt that Home is her shortest book to date; in a time when my pleasure reading time has been severely limited (and I've had essentially no attention span), it was nice to have a book that needed my attention but didn't need a huge time investment. If, like me, you've been eagerly awaiting Morrison's latest slice of literary greatness, you can read my full review here. Obviously, I'll still have dissertation brain for the next few weeks, but despite being super ill, I've felt a lightness come over me this past week that has long been absent, and I'm optimistic that I'll soon recapture my full book-blogging mojo. In truth, writing this dissertation hasn't been nearly as awful as I thought it would be (though I'm totally fine with never doing this ever again), but I am still so looking forward to reclaiming my life. For at least a month, that is, since Tony and I are officially leaving Nashville at the end of June. We'll be moving up to Toronto for a couple of weeks to get our dogs settled in with my parents, and then we'll be heading off on our big world tour! (Don't worry though, we're bringing our e-readers so we'll have plenty to read on the myriad planes, trains, and buses we'll be taking!) So life will be busy for the foreseeable future, but with one of the biggest stressors finally stripped away, I am looking forward to refocusing on those things that enrich me and nourish my spirit. For me, the very best books, regardless of genre, are the ones that whisk me away from my own life and allow me to see and understand the world in a way I hadn’t before. 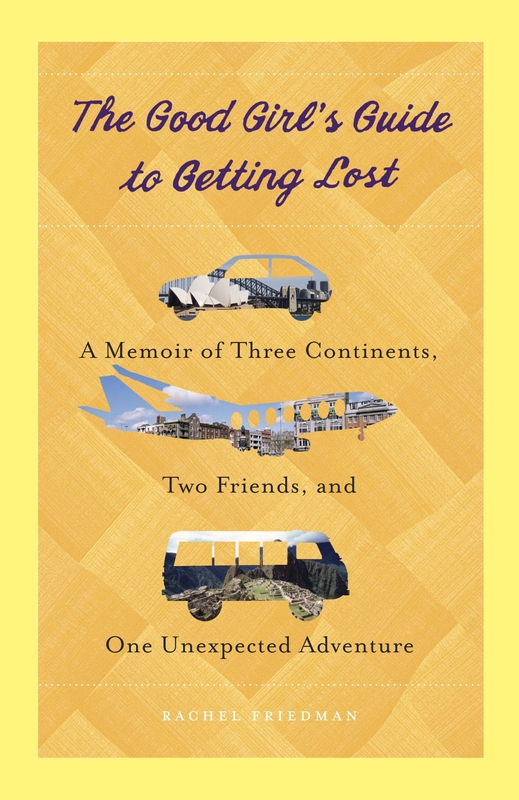 If there’s one type of book with an innate affinity to do this very thing, surely it is the travel memoir! The very best of their kind aren’t just about traveling around in strange lands, encountering odd social customs and nibbling on questionable foods—though those anecdotes are fascinating in their own ways)—but are about the personal transformation that occurs when we venture out of our homes and leave the safety and security of the familiar behind.